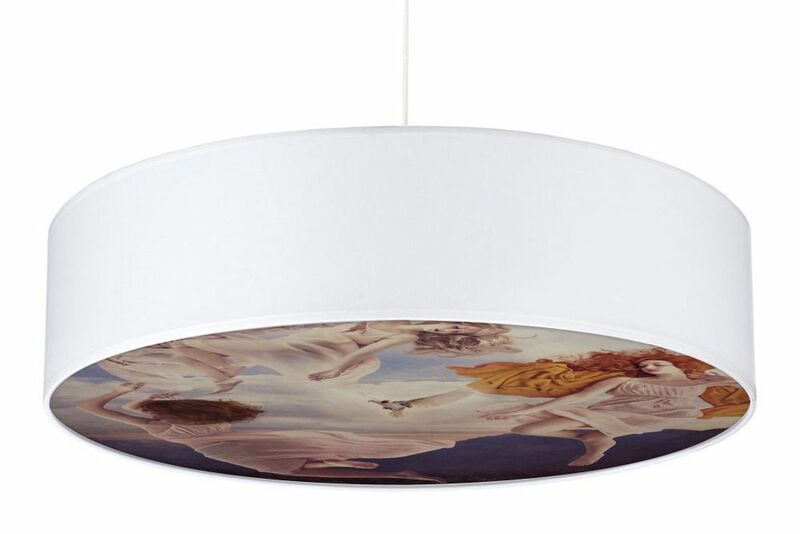 The Sistine Lampshade is inspired by frescos and chapel ceilings. An elegantly proportioned circular shade supports a diffuser featuring an image of 3 sisters floating in the sky around a dove. The halo of light around the dove is positioned directly below the light source so that when the light is on, the light emanates from the dove. The minimalist slim shape combined with the dreamlike imagery can add a touch of romance to both modern and traditional interiors alike. NOTE: light fitting and bulb are not included. Using a small eco bulb is recommended.